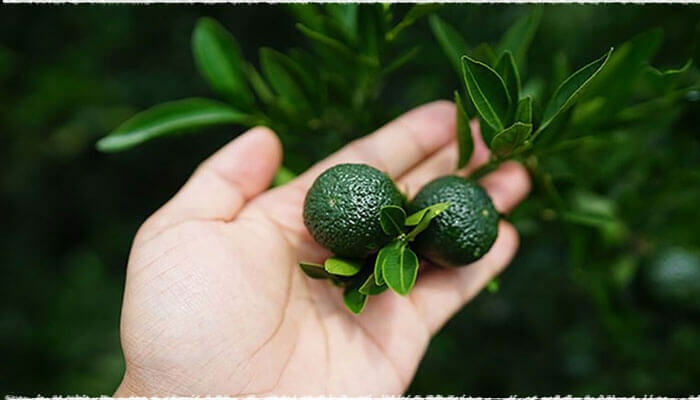 Generally speaking, the mandarin trees will bloom in March and bear fruit in April, and the fruits can reach the picking standards until July or August. 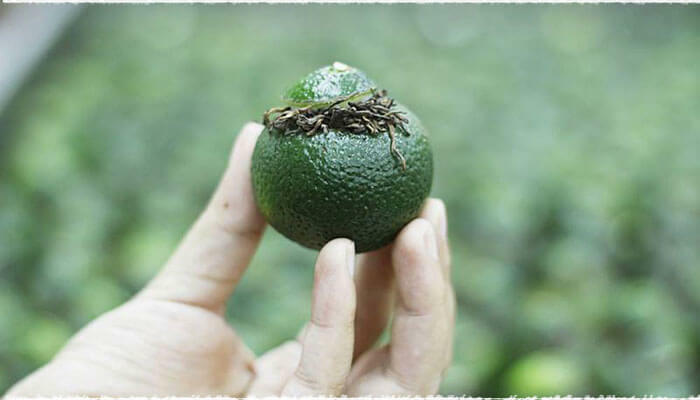 The workers will select the mandarin oranges which meet the picking standards to make for mandarin tea, but they will not pick them all, since the picked mandarin oranges must be made into tea within two days. 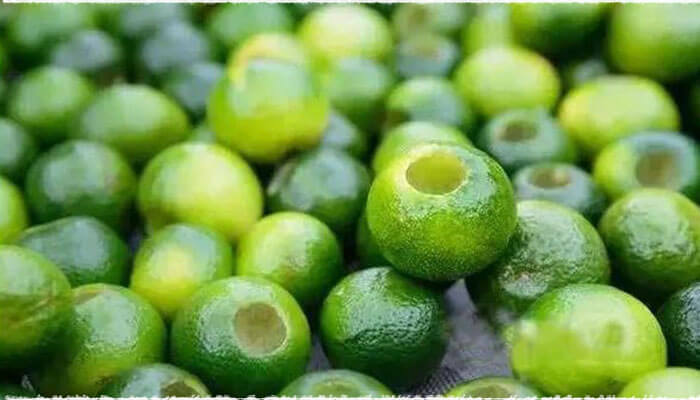 The picked mandarin oranges need to go through the processes of cleaning, classifying, opening holes, digging out the pulp, clean up the peels, fill in tea leaves, drying or baking, and then can become the green mandarin orange tea. 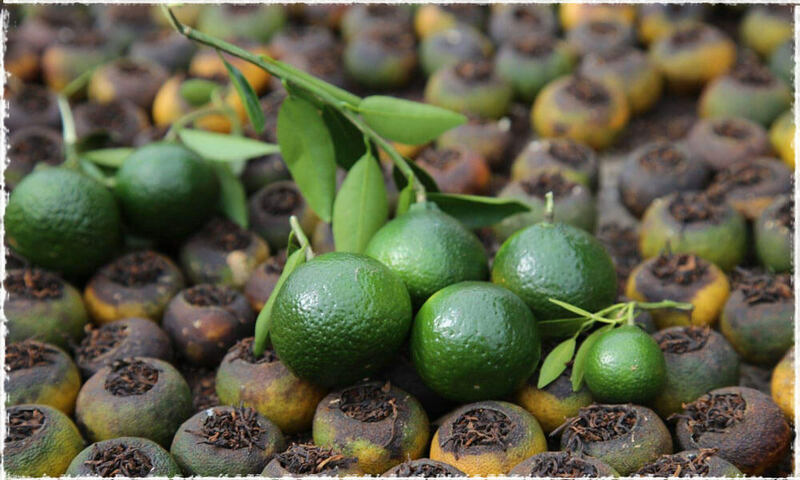 Clean up the new picked Xinhui mandarin oranges. Classify the mandarin oranges according to their different size with the sieving machine. 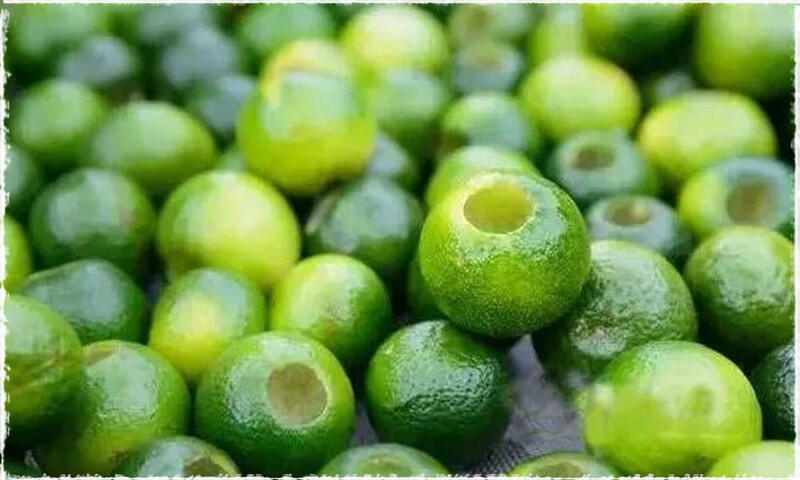 Use the special tool to cut a small round hole on the top of the mandarin oranges. The peels need to wash again in order to avoid the rest pulp or juice affecting the taste of tea. 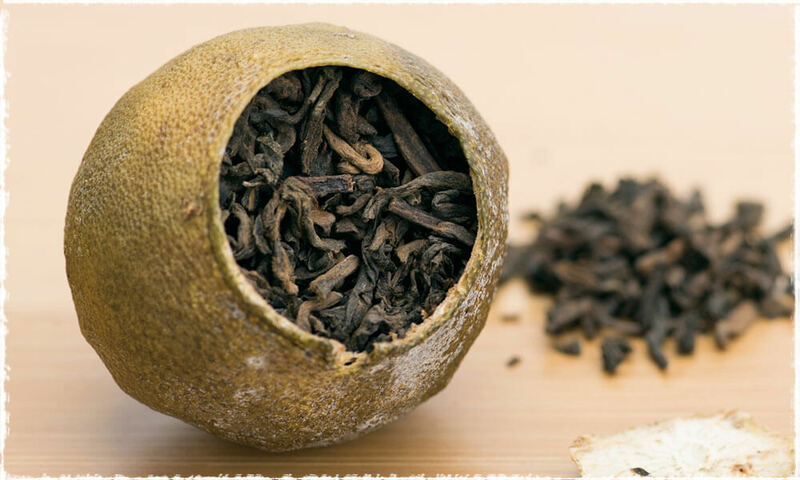 After cleaned up the peels, workers will open a tiny hole on the back of the peels, it is not only convenient for drying the peels but also good for the aging of the tea. Tea leaves cannot be directly filled into the peels, because water content of the peels is too high. So, the workers usually set the peels upside down, and let the sunlight to dry up the rest water. After the peels dried, the workers need to fill it with tea leaves; even a skilled worker also needs at least one hour to complete a tray of mandarin orange pu-erh tea. Usually sun exposure or baking is the method of drying mandarin oranges , by which the mandarin orange peels will become hard and crispy, and its color will turn to dark green, until now, the process is completed. 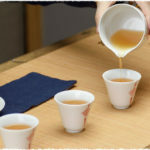 Last but not least, the tea will be carefully wrapped with tissues. 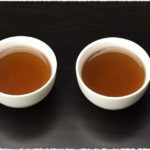 And then be well-stored in boxes, its aroma of pu-erh and the fragrance of mandarin oranges will slowly penetrate each other, waiting for people who love them to open. 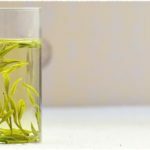 NextNext post: What is the Scientific Basis for the Preciousness of Aged White Tea?